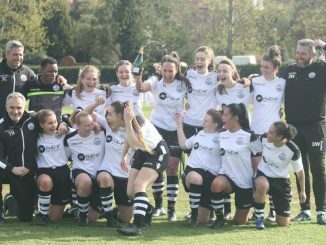 Chorley’s win at Victory Park over Morecambe put them top of FAWNL Northern Division 1, while Southampton Women put five past local rivals Southampton Saints to lead the South West table. Stoke stayed top of the Northern Premier after being held 1-1 at home by Derby. 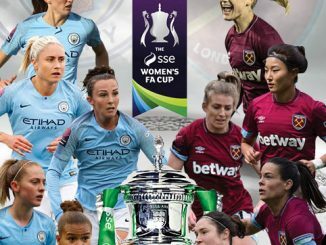 Emily Owen’s opener was followed by a disallowed goal for City’s Ashleigh Hayes before a Faye McCoy own-goal levelled the scores. 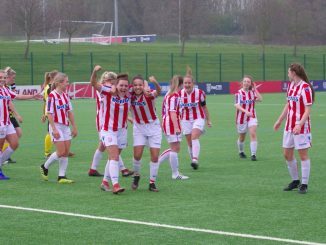 Blackburn are one point and one place behind the Potters after scoring the only goal in the local clash at Fylde, Saffron Jordan turning in an Alex Taylor cross. Huddersfield are goal-difference short of Rovers despite hitting Doncaster 6-1 with four second-half goals and a hat-trick for Kate Mallin. Guiseley got off the mark in style when sinking hosts Bradford 7-1 with seven different scorers. It was only 2-1 at the break but the Bantams then had a player sent off for handball on the line. Southern Premier leaders Chichester made it four straight wins by beating Portsmouth 2-1. 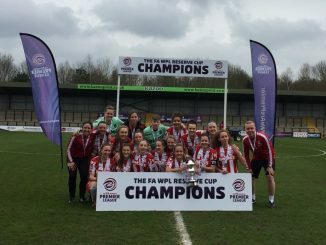 Hollie Wride and Chloe Melton scored for City, with the latter also having a goal disallowed after Daisy McLachlan pulled one back. 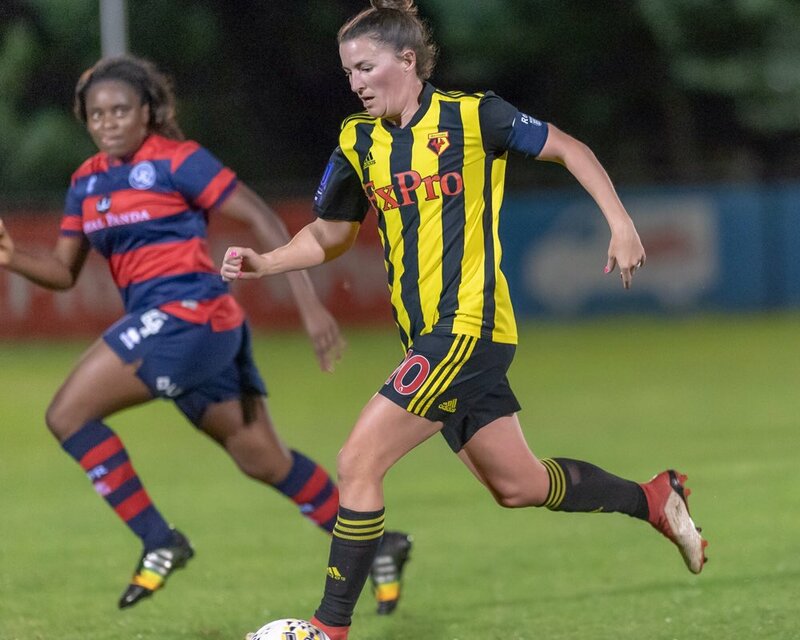 Second-placed Coventry put four goals past Loughborough, including two from Maz Gauntlett, Watford went third with a 2-1 victory over QPR thanks to Helen Ward’s 83rd-minute effort. Linda Afuakwah took just 46 seconds to score but Rangers replied from distance through Mara Deluca. Gillingham’s first win came 3-1 away at C&K Basildon. Nettleham are third in Midlands Division 1 after thrashing Steel City 6-2, Abi Ringrose with half their tally. Fellow newcomers Bedworth have won three games in three after Nicola Foskett and Lydia Hackney hit the target against Birmingham & West Midlands, who had a player dismissed. 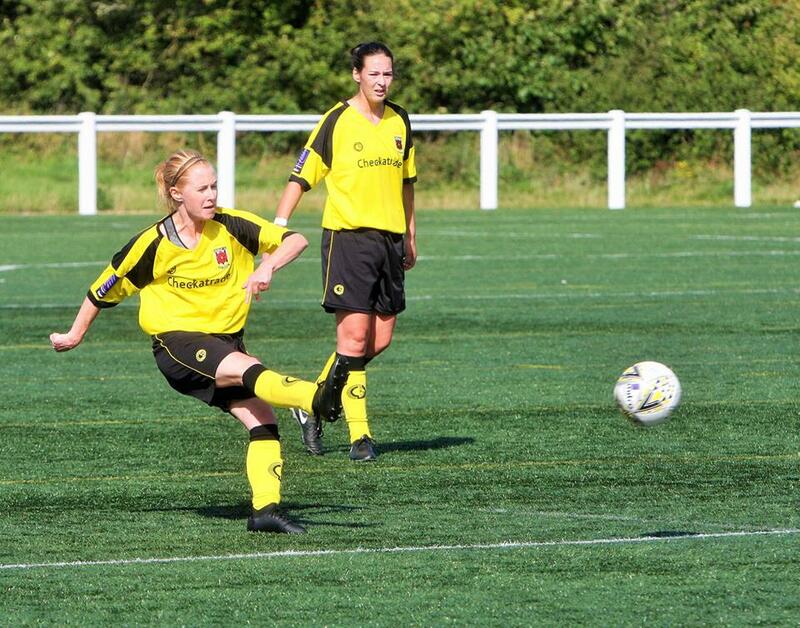 Long Eaton were the first to take points off Burton and did so with a 3-0 scoreline, Ashleigh Evans grabbing two goals. Chorley went top of Northern Division 1 with a 3-0 defeat of Morecambe. Charlotte Proud saw Brighouse off to a purposeful start with two goals in the first 14 minutes of a 2-1 result against Barnsley. Liverpool Feds won a goal-fest at Crewe 5-3, doubles by Laura Bartup and Jen Rogers helping see off a fightback by the Alex. Both Crawley and Billericay extended their perfect start to life in South East Division 1 with fourth wins on the trot. Emma Plewa and Faye Rabson both scored twice as Wasps won 5-2 over Wimbledon, Billericay defeated Orient 3-1 away where Zoe Rushen struck twice. Actonians rose to third with all five goals at Denham, Alessandra Barreca and Hannah Summers with two apiece. Norwich have the East Anglian bragging rights after a 1-0 success at Ipswich, while Cambridge and Stevenage played out a goalless draw. 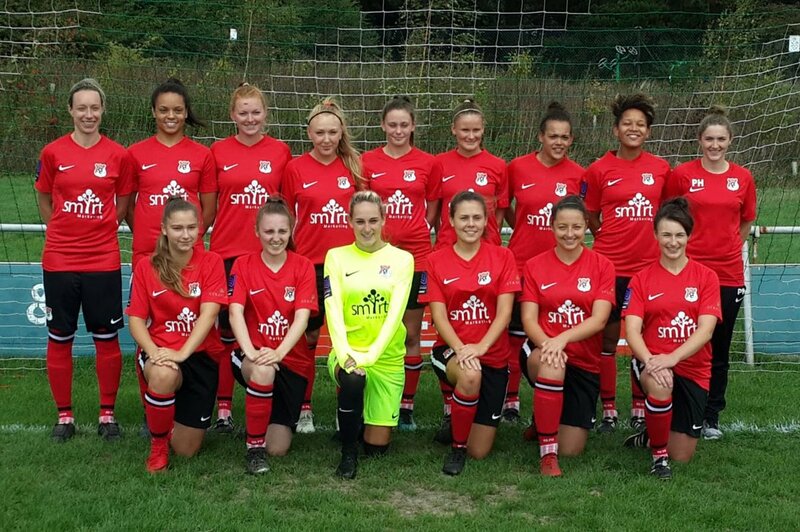 Southampton WFC are new leaders in South West Division 1 after a 5-0 derby defeat of Southampton Saints in which Emma Pinner bagged a brace. Chesham recorded a similar scoreline against Maidenhead and Gemma Fraser was again on target for them with a couple of goals.